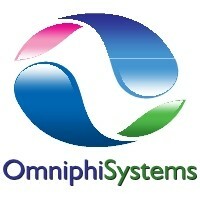 Omni software is designed for administering and managing all aspects of SSASs and SIPPs. Omni software has been used to administer SSASs and SIPPs for over 20 years and is used by administration firms of varying sizes, ranging from those with less than 50 schemes to those with over 10,000 schemes. Our unique tie with existing SSAS and SIPP administration companies means we are constantly exposed to real life scenarios and allow us to develop the software to meet the ongoing requirements. This ensures that our clients benefit from having access to a program that it as compliant as it possibly can be allowing them to meet the ongoing challenges of pension scheme legislation. We therefore understand that the need to keep and maintain detailed records and information is essential for any administration firm as the more detailed the records, the less is left to chance.